The UCLA basketball women’s team received a commitment from Canadian U17 national player Brynn Masikewich for the 2019 recruiting class. The 2019 recruiting class is looking very good for UCLA basketball head coach Cori Close as she added her third commitment on Wednesday. 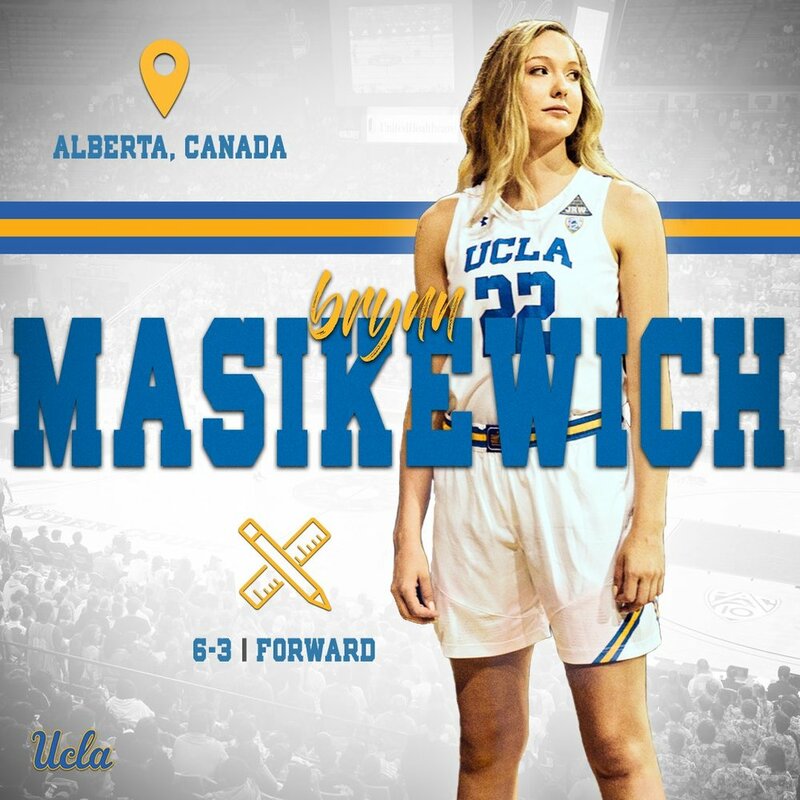 The Bruins received their first frontcourt pledge as Calgary, Alberta native Brynn Masikewich is on her way to Westwood. Close has been doing a bang up job on the recruiting trail as the 2019 class looks to be one of the best in her tenure. The 6-3 forward is one hell of a low post threat that can play on both ends of the court. Last season she helped her school, Lincoln Prep, win the Ontario Scholastic Basketball Association championship but was also one of the featured players on the Canadian National U17 team. Our training methods were forged under the uncompromising spotlight of the Olympic games. Jungle head coach Greg Almon spent four years living and working in China helping to produce a radically new type of athlete. Exposed to the most modern training in the world, Coach Greg helped the Chinese Short track speed skating team to produce 7 gold medals at the 2010 Vancouver Olympic Games. Radically change your game at the Jungle. Our Athletic Foundations (age 9-12) and High Performance Training (age 13-17) Programs are designed to unlock the raw talent in every athlete! We focus on the key aspects of sports; change of direction, acceleration, and power training. Along with creating the ultimate athleticism through flexibility, speed, strength, power, agility and stamina. The CIS/JR training program helps athletes maximize their college career and prepares them to play on a professional level. The Jungle offers both in-season and off-season training for collegiate athletes at our centrally located facility to bring out the best in each athlete. Our objective is to prepare each athlete, helping you excel in speed, strength, stamina, nutrition, and recovery. Give your female athletes the ultimate competitive edge with the Jungles Female Athlete Training Blueprint. Discover Calgary’s best system for developing speed, agility, strength and conditioning in today's female athlete! Designed for those hockey players that are focused on making the jump to Quadrant Hockey or Levelling Up to their next challenge as current Quadrant Hockey Players. Give your athlete access to the same speed methods that made the Chinese Speed Skating Team the fastest in the world!